Looking for a spa-like experience at home? Try our Purifying Mud Mask and Dead Sea Scrub. These products both contain real clay sourced from the bottom of the Dead Sea, which feeds your skin a high concentration of minerals that naturally tone, detoxify and exfoliate, leaving you with a younger-looking, more radiant complexion. Dead sea clay has long been used to benefit the skin. The Dead Sea, at 1,300 feet below sea level, is known as the lowest surface on the planet, and is located in Israel and Jordan, about 15 miles east of Jerusalem. No life survives in the water except bacteria, as it has a salt concentration seven times that of the ocean. The Dead Sea has long been known as a place of healing, with ancient populations using it to soothe a variety of illnesses and injuries. Even today thousands of visitors go to the Dead Sea seeking spa treatments and therapies. What makes Dead Sea clay so beneficial is the high concentration of minerals that are easily absorbed by the skin. These include calcium, magnesium, bromide, potassium, and sulfate. Over thousands of years, layer upon layer of sedimentary clay has formed as the bottom of the sea, trapping a high concentration of minerals proven to be helpful in maintaining healthy, young-looking skin. Incorporating dead sea treatments into your regular skin care regimen can really help you to get that healthy, vibrant glow we all want, especially after a long, dry winter! For a quick exfoliating treatment, we recommend you massage our Dead Sea Facial Scrub into your skin for about a minute then rinse it off, or you can leave it on as a mask for 15-30 minutes so your skin can absorb all the minerals. Follow with your favorite moisturizing facial oil. My Purifying Mud Mask also gives you the benefit of the minerals in a softer formula that's especially great for removing excess oil and impurities. Have you tried Dead Sea clay? If so, what did you think? Sukenik S, et al., “Treatment of Psoriatic Arthritis at the Dead Sea,” Journal of Rheumatology 1994 Jul; 21(7): 1305-9. http://www.ncbi.nlm.nih.gov/pubmed/7966074. V. Kipnis, “Natural Therapy at the Dead Sea,” Dead Sea Mor. http://www.dead-sea.net/mor/therapy.html. Photo courtesy bastchild via Flickr.com. Hi thanks for taking the time to write this article. 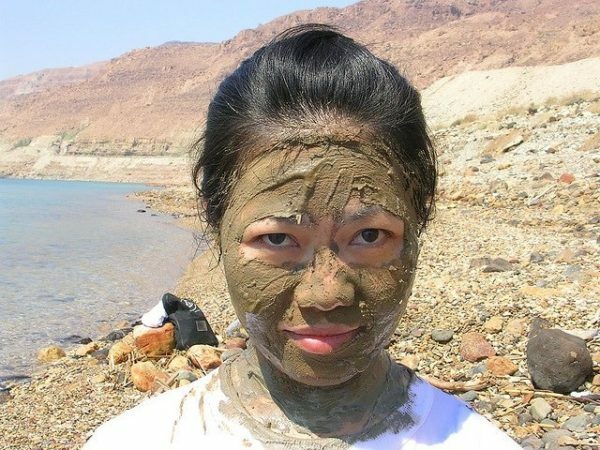 I have used the black mud from the dead sea before it is amazing… I brought back 5 jars from my last trip there, I used it all over my body to deep cleanse once per month. I am all out now and online searching for a way to get more. Glad I found your post.